Assalam-o-Alaekum! In this video tutorial by TutorialsHunt.com I will tell you that what are Blog Requirements For Adsense Approval Video Tutorial In Urdu And Hindi In one of my previous tutorials I told you how to make money with hosted adsense account Many people created adsense account from that tutorial and thanked me for that video tutorial but some people complained that adsense ads were not being shown on the blog.They were very sad so for those people I made this video tutorial.In this video tutorial I have explained each and everything for you guys! I hope that you like this video tutorial.If you follow the steps I am gonna tell in this video tutorial I am DAMN! sure that adsense ads will start being shown on your blog.Also Read: How To Upgrade Hosted Adsense Account To Non-Hosted? 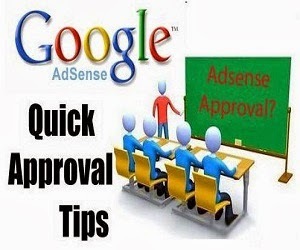 I have also mentioned the causes which lead to adsense disapproval.Keep on viewing our website TutorialsHunt.com for more video tutorials in urdu and hindi.Please like our Facebook Page If you have problems regarding anything feel free to comment I will try my best to help you.Remember me in your prayers…!!! Please Click On The Play Button To Play The Video! Recommended: How To Make Money With Chitika Ad? Thanks for watching the video now please comment to support us! Thanks! for viewing our site and appreciating us Keep on viewing our site for more video tutorials related to blogger seo and much more ! assalam o alaikum bhai mene pk bht se tutorials dekhy hain or bht madad hasil ki ha pr mjhay smaj ni aya ha k apne apni site pe adsense q ni lagaya hua ha ? Sab se pehle site view krne ka shukriya umeed hi apko pasand aaye hogi……bro mene adsense k liye kuch dinno pehle hi apply kiya hi upgrade mi thora time lag jata hi es liye haftey tak approval aajaega….ab 30 posts ho chukey hain es liye ab apply kiya hai..! Mere pas aur b fathor k name se adsense account hai lekin mi apna alehda bana chah rha hu..! While searching in google i got your blog.. Really you have Gud stuff dude.. Thanks for the information. Need a Favour I need daily traffic for my site? Can you make tutorial for that.. Thanks you Ravi for appreciation……Soon I will make a tutorial on tips to get traffic to your blog….Keep viewing our site.I will share it soon!